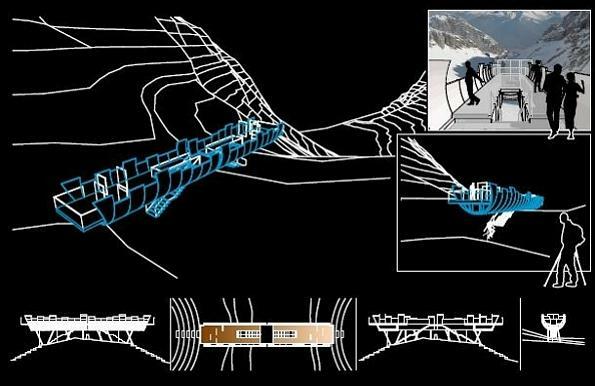 As part of the Transfrontaliera Italy-Slovenia collaboration Programme 2007-2013, the two municipalities of Chiusaforte in Italy and Bovec in Slovenia commissioned the design of various structures and buildings conceived for the regeneration of these areas for tourism. These included a scenic view point, a Belvedere that was to be located in a panoramic position high up in the Giulie Alps along the line marking the Italian-Slovenian border. 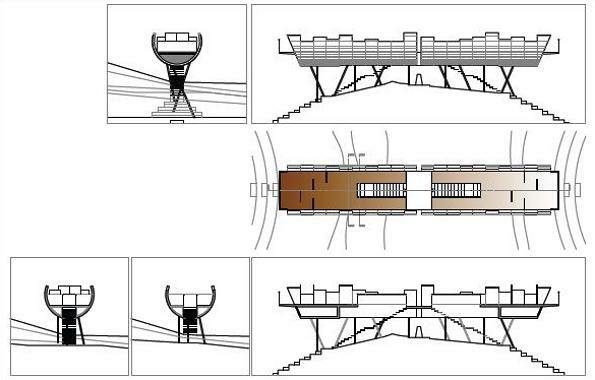 The Belvedere is intended to be the destination point of an ascending walking path and comprises a steel cylinder raised above the rocky ruggedness by stakes in the ground, cut obliquely at its two extremities to create two panoramic terraces. The development of the project took different needs in to consideration: constructional, functional and aesthetical. Designed for high-altitude sites, the structure is made of pre-fabricated elements that can be transported by helicopter and are easy to assemble, thus guaranteeing rapid dismantling and the recovery of the materials. This therefore guarantees the reversibility of the construction, the minimal impact of the buildings site, and no dispersion of perishable or non-recyclable materials or pollutants in the environment. The cylinder can be accessed by two ramps of steps opposite the centre of the lower part; there is a platform for the trench path: the open extremities are protected from the wind by slabs of safety glass. 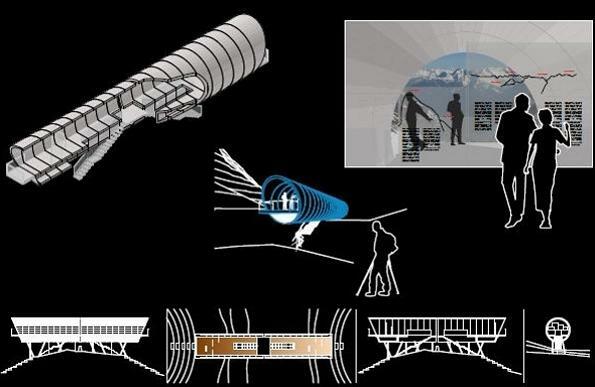 Inside the cylinder there are crystal panels along the route between the stairs and scenic terraces with the serigraphic profiles of the surrounding mountains and information about the various directions. In addition to the closed version, which can also be used in winter as a provisional shelter, an open variation has also been foreseen, without the upper section of the cylinder and conceived as a destination for summer excursions.